All Babies have the potential to learn simple, easy-to-remember Baby Signs, such as tapping finger-tips together for “more” or touching fingertips to mouth for “hungry”. Two decades of research have found that babies whose parents introduce them to Baby Signs learn to talk sooner, haver fewer tantrums, get a jump start on their intellectual development, express emotions effectively and develop stronger bonds with their parents. 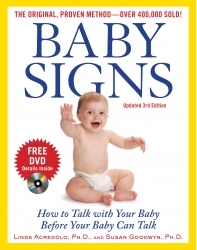 Baby Signs are as easy to learn as waving “bye-bye” and offer you a priceless window into your child’s mind. The proven key to a happier family. The Parent/Child Game is about giving parents the knowledge that psychologists and other professional use for families and this knowledge guarantees successful parenting and families that work well. It’s key focus is that the moment your child starts to behave well, you must praise them. And how to explain at a level which you know your child will understand. Nicole’s Comment: I recommend this book because if you read this and apply the knowledge and secrets here you will put your family off on a tremendous start in your enjoyment of parenting and your baby’s behaviour will be easily delt with. I believe is starting off in the right way rather than having to change your parenting or child’s behaviour later. This is invaluable. Silent Nights provides a sensible, no-nonsense guide to how babies sleep and why they cry. It shows how this knowledge can be applied in practical ways to help the normal, healthy baby to establish sleeping patterns that will improve its life and benefit the entire family. The process is not always easy, but most families following the programme outlined in this book will find that a good night's sleep is no longer an impossible dream. Nicole’s Comment: This is a must have book if you are looking for more easy to ready information on sleeping and babies, packed full of great, reliable strategies that really work. Toilet training can be easy, but we also know it can be difficult and very frustrating. 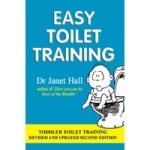 Easy Toilet Training by Dr Janet Hall is an excellent book providing up to date knowledge on the essential steps for effective toilet training. The book also includes a Trouble Shooting, which consists of coping with power struggles, physical problems and fear of the toilet. Nicole's Comments: A good resource to read in preparation to toilet training your child. Dr. Janet Hall provides easy step by step techniques to make toilet training easy and fun. The ability to use language well is one of the greatest gifts you can give your children. Helping them to communicate, to listen and to understand, will build the foundation of their future learning. 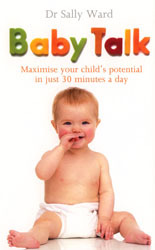 Babytalk is a revolutionary new programme. It takes just half an hour of playtime a day, is easily and fun. Nicole’s Comment: If you only buy one book apart from mine make sure it is this one! MUST have, will profoundly influence how your childs brain and intelligence and ability to focus develops and will influence their future life. 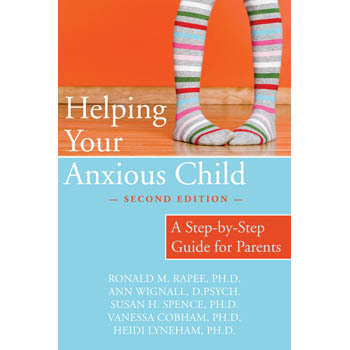 This best-selling classic guides readers to help a child overcome anxiety and fears. 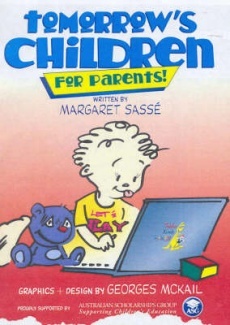 It describes in detail strategies and techniques they can combine into a comprehensive self-help programme for a child's particular needs. From separation anxiety to general anxiety, social anxiety, specific phobia and panic disorder, the book describes the common types of childhood anxiety, how anxiety originates, and options for dealing with the problem, with or without a therapist's help. In this updated version, the progression of chapters reflects the authors' clinical programme, in which major skills are introduced early and then are consolidated and built upon in later chapters. Throughout, the book employs a step-by-step approach that is both structured and directive. Written activities are incorporated throughout the chapters, some intended for the child and others for his or her parent to complete. Learning and intelligence is based on normal and natural physical growth, emotional growth through Neuro (brain) development. Nicole’s Comment: If you are unable to attend Gymbaroo session then this is a must have to do at home. "Will bring about more cooperation from children than all the yelling and pleading in the world." This down-to-earth book is written to make relationships with children of all ages less stressful and more rewarding. The authors use innovative ways to solve problems. 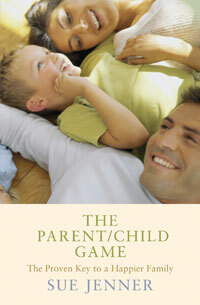 In this book you will learn to cope with your child's family conflicts peacefully. Nicole’s Comment: This book is a great one to have on your bookshelf and to pull out often and read sections, it allows you to refocus on your parenting and is amazing that just by changing the way to say things, or the focus of what you say, your children then open up and talk to you about what has happened in their life. The Thumbsucking Clinic is part of The Australian Clinic of Orofacial Myology and is aimed at helping children stop thumb sucking, finger sucking or dummy sucking the fun way! Always positive and exciting, we have Big Solutions for Little Smiles. Carla has a private clinic located in Townsville, North Queensland, Australia. She provides information and services for parents and children who need help to stop thumb sucking, finger sucking or dummy sucking and focus is on growing beautiful smiles and faces. Dr Brian Symon has been a family physician since 1978. He lives in Adelaide where his practice has now evolved to be almost exclusively about sleep and the care of young children. Problems reviewed generally revolve around sleep, feeding and behaviour in children up to about the age of five years. This website has many resources and handouts on their site so do have a browse as they can be very helpful. SIDS and Kids is dedicated to saving the lives of babies and children during pregnancy, birth, infancy and childhood and supporting bereaved families. We deliver on our vision through world class research; evidence based education and bereavement support; and advocacy. SIDS and Kids Queensland provide bereavement support to Queensland families who have experienced the sudden and unexpected death of a baby during pregnancy, birth and infancy regardless of the cause. SIDS also provide Safe Sleeping education programs designed to reduce the rate of sudden infant death syndrome (SIDS) and fatal sleeping accidents. 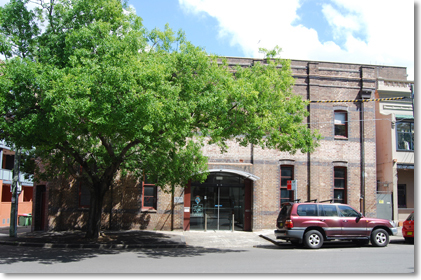 Their education and support services are provided to the Queensland Community free of charge. Nicole's Comments: A must read resource for every new & existing parent. Many Brochures are downloadable from their site and are important in promoting safe sleep for your baby. The RPAH Allergy Unit is attached to the Department of Clinical Immunology, Royal Prince Alfred Hospital (RPAH), and is affiliated with the Discipline of Medicine at the University of Sydney. This unit deals with allergies, food intolerances, Asthma and Coeliac Disease. This site is a good resource for information regarding these allergies and intolerances. Fact sheets are available for download and can guide you to avoid food, additives and problem chemical that excel the allergies & intolerances. For more information on allergies and intolerances, log onto RPAH: Allergies Unit. MotherLink is a website produced by Michelle Jones, who found it difficult to find information and support surrounding being a new mum. Her MotherLink site was established to connecting new and exiting mums in the northern region to information online in one place, support networks and connection to other mum with similar problems. A good resource for new and existing mums who want to connect with like-minded people.